Whether you initially plant ivy as a ground cover or to grow up a trellis or building, it will spread quickly to fill in any empty spaces in the garden. 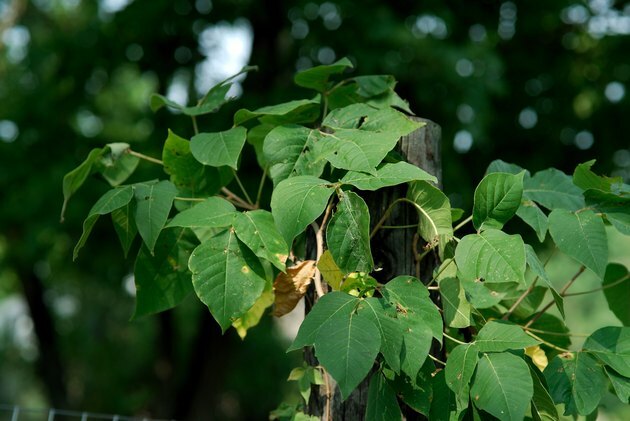 Invasive ivy plants can also spread out of control, taking over your yard and choking out other plants. These include English ivy (Hedera helix), in U.S. Department of Agriculture zones 4 through 9, and poison ivy (Toxicodendron radicans), in USDA zones 3 through 10. If you have an invasive ivy variety occupying your yard, you can choose among several control methods for eradication, including cutting and digging, spraying herbicide and smothering the ivy with mulch. Ivy can sometimes be controlled by cutting, with either hand pruners for small patches or a lawnmower for large patches. This method requires no chemicals, making it safest for use in close proximity to desired plants, but it requires persistence -- it can take several months to completely and permanently kill the ivy. When the leaves are cut off from the roots, the plants cannot photosynthesize. Ivy might regrow from the roots after cutting, but will eventually stop growing as the food stores in the roots are expended. Thicker stems and roots might prove particularly persistent, so pull the roots out of the ground by hand, or dig them with a garden trowel to hasten eradication. 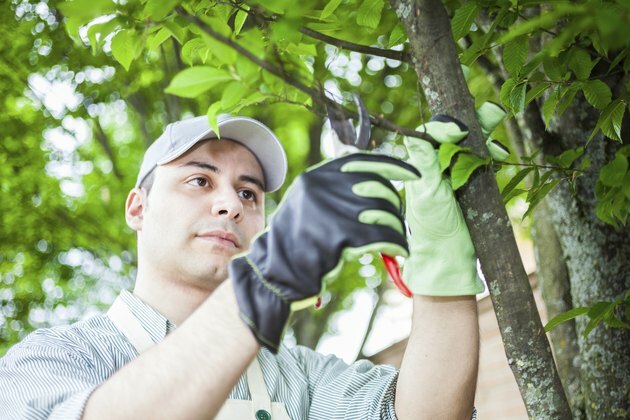 Always wear long sleeves, pants, closed shoes and gloves when working with poison ivy, and sterilize any pruning tools before and after use. Nonselective glyphosate herbicide quickly and effectively kills ivy. You can purchase 2 to 3 percent glyphosate products in ready-to-use formulation, or mix your own from a concentrated product. Mix a product containing 46 percent glyphosate at a rate of 2 2/3 ounces of glyphosate to 1 gallon of water, along with 1 to 2 ounces of a surfactant such as vegetable oil to help it coat the leaves. Spray the herbicide directly on the ivy leaves and stems; allow about 10 days for the leaves to desiccate and die. You can also brush the solution directly onto cut stems, where it can translocate to the roots. 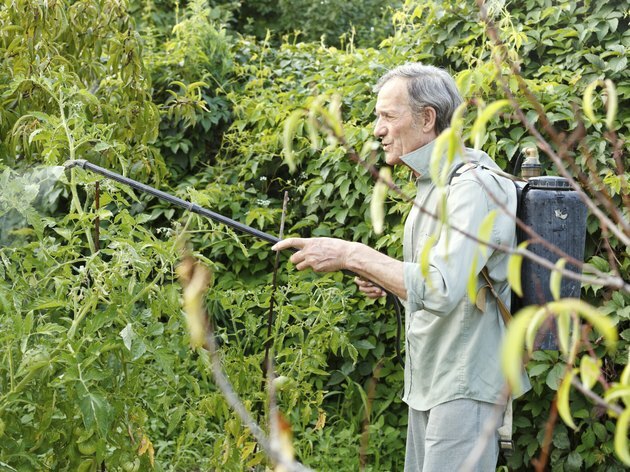 Try vinegar as an alternative if you want to avoid chemical herbicides. Household distilled vinegar works, but horticultural vinegar with 20 percent acetic acid is most effective. The tiny, hair-like rootlets on ivy stems, also known as holdfasts, can enter the smallest crevices to hold the ivy against buildings and trees. The bond is so strong that if you pull on the ivy while it's still alive, you risk pulling off tree bark or dislodging the mortar from between bricks and stones. Whether you cut the ivy or spray it with herbicide, you must wait until the foliage is completely brown and shriveled before attempting to remove it from a structure. As the foliage dies, the rootlets shrink and release their grasp on the surface. Pull gently to test the bond before pulling down hard on the vines. 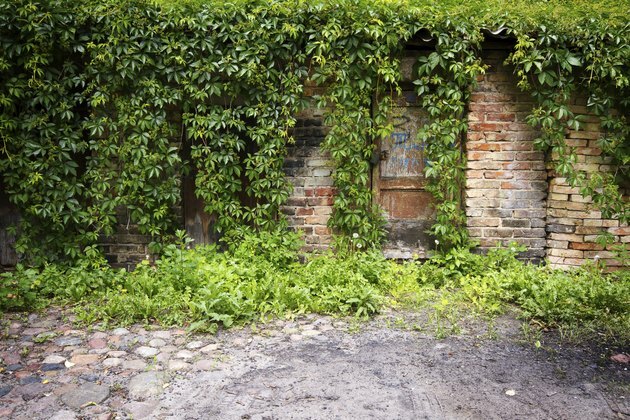 If the ivy grows on a building with loose or crumbling mortar, it's best to simply leave the dead ivy in place, allowing it to decay naturally. A thick layer of mulch blocks out sunlight to help prevent ivy from growing. After you pull, dig or kill the ivy with herbicide, lay permeable landscaping fabric over the ground, overlapping the edges of the fabric by at least 6 inches. Spread a 4- to 6-inch layer of mulch over the entire area, perhaps extending a few feet beyond to account for spreading underground roots. 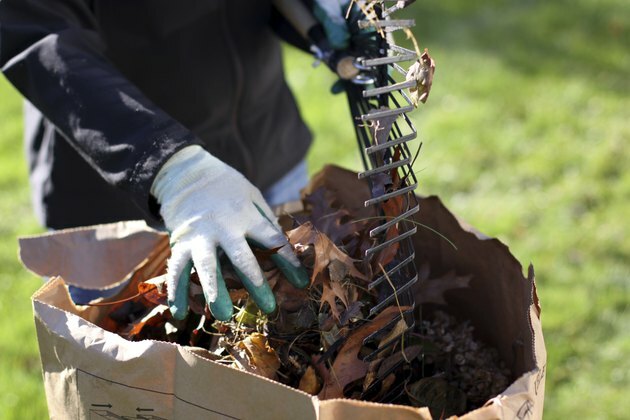 Shredded bark mulch and other organic mulch materials decompose over time and need to be replenished once or twice yearly. If new ivy shoots push through the mulch layer, cut them as far below the mulch as possible, or cut the tip of the stem and brush on some herbicide to kill the plant.